for the retail and food industry. Every day, we provide our customers with fantastic taste enrichers such as cheese cubes, olives and sundried tomatoes. We also like to engage in the development of convenience concepts for various industries. From retail to food service and from culinary tapas to vegetable rice. Develop successful innovative products together, that we can realise from our own kitchen. That is what we like. Looking for tailor-made solutions for sourcing questions? Here too, we make the necessary steps. When it concerns convenience food we like to be first in line. The convenience range is growing fast on the retail shelves. Consumers all choose convenience nowadays. But, preferably healthy and tasteful. Supermarkets need to innovate continuously to keep surprising their customers. 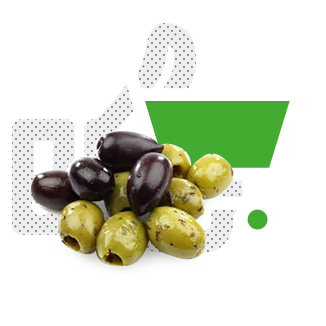 We help retailers with innovative convenience products. Listening to the consumer, translate this into concrete products, and get these on the shelves as quickly as possible.. Looking for specific (semi)fresh ingredients? We deliver raw materials, semi-manufactured products and ready-made products, to the food processing industry and the food service. We do a lot to meet specific customer requirements. For example, if necessary, we adjust our process to deliver tailor-made products. In bulk or packed portioned for optimum convenience. Taste enrichers that give a bit extra to a salad, pizza or meal. 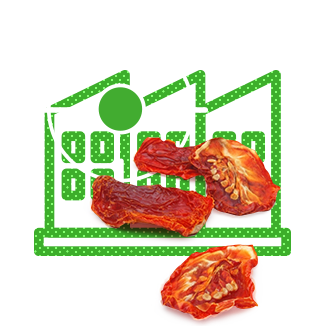 Our range consists of tasteful products such as sundried tomatoes, olives and cheese. Delivered custom-made; cut up, marinated, or adjusted to your recipe. In sachets, containers, or in bulk. The possibilities are endless. Tasteful bites to enjoy with drinks or as a snack between meals. Together with you, our production team will put together a fine range of marinated olives, antipasti and tasteful spreads. Our antipasti are very diverse: they are either warm or cold, and be made of fish, meat, vegetables, or cheese… and so on. Our Fatelli team has many years of experience in the development of this product group for retail, food service and specialised retail. We therefore bring added value at different levels. From product development to presentation on the shelves. Now more than ever, we experiment with meat and carbohydrate substitutes. We pick up on that with new product developments from our own cultivation. With a focus on cold preparations. In the test kitchen, our chefs explore new possibilities for fresh salads made of kohlrabi or broccoli, vegetable rice or carrot pasta. Here we process taste enrichers such as cheese, sundried tomatoes, and olives. We are also equipped to produce convenience products such as tapas, new foods and ready to process products. We are extremely happy about Fatelli’s proactive attitude, the way they think along with us, and the quality they deliver daily. the market with which are customers can stand out. Do you have any questions? Or are you inspired by our story and would you like to know more? You are always welcome! We are located in Dronten, but we are always happy to pay you a visit. Please, contact Martin Lanser.